The site of Lehun (Lahun, al-Lahun or Khirbet Lahun) is located in central Jordan, a region better known in the Bible as the land of "Moab". It lies more precisely on the northern plateau of the Wadi Mujib (biblical Arnon), between the ancient King's Highway and the modern Desert Highway, 82 km S from Amman and 30 km SE from Madaba. 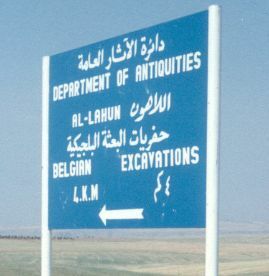 The site can be reached from Dhiban (ancient Dhibôn, on the King's Highway) or by the "Desert Highway" (direction Dhiban) through the paved road to Umm er-Rassas, by turning S at Mesheirfeh (ca 3 km).The region is historically important: Dhiban, actually a small village, 7 km W from Lehun, was the former capital of King Mesha in the 9th Century B.C.E., and its military fortress at Ara'ir, was built some 3 km W from Lehun. We have no antique literary resources about Lehun. Some travellers and archaeologists passed the site, as R. Bruennow and von A. Domaszewski in 1904, N. Glueck in 1933 and M. R. Savignac in 1936, but they gave us little information. Some authors, such as F. G. Peake, K. S. Abujaber, F. A. Ghraibeh and A. Hill mention the region of Lehun and its inhabitants, who belong to the Saleitha tribe. They claim to be part of the Beni Sakhr family, coming from South Arabia and settling in Mesheirfeh and Lehun. Various reasons explain why the site of Lehun was alternately inhabited or abandoned in the various periods of its existence from prehistory until modern times, such as environment, strategic position, climate, water supplies and rainfall, geology and political events. In general Lehun is located in one of the better-watered regions of Jordan, which are often characterised by permanent settlements in Antiquity. They contrast with the desert region, where rainfall is scarce and nomad settlements are seasonal, and therefore temporary. Belonging to the northern Moabite plateau, the Lehun region is largely open to the arid steppe and the desert. It has a semi-arid Mediterranean microclimate, between the mild coastal and the dry desert climate, in an area where "desert and sown" were often confronted. This is certainly one of the reasons why alternately nomads and sedentary people chose Lehun in history. The archaeological concession of Lehun is 1100 m by 600 m and is divided in different natural sectors (sectors A-D, Lehun Excavation area's). The altitude ranges from 748 m to 719 m above sea level. It is divided NS by the Wadi Lehun and EW by various seasonal wadis, which delimit small natural areas in a hilly landscape. The southern part of the site is well protected by the abrupt cliffs of the Wadi Mujib plateau. It has a strategic position as it allows one to overlook the whole area: in the west the Dead Sea; in the south the Wadi Mujib valley and the Karak plateau; in the east the desert. This defensive situation explains why this is where the earliest remains were discovered, dating from periods of struggle for life and war: prehistoric flints, an impressive Early Bronze fortified town, a Late Bronze/Iron Age I village with its precinct wall, and an Iron Age II stronghold. In the northern part, on the slopes of the Wadi Lehun, where humidity and vegetation are more permanent, some settlements appeared in more peaceful and commercial periods. Being in the vicinity of the fertile fields of the Moabite plateau, this part of the site is also close to the trade routes existing since the Nabataean period. 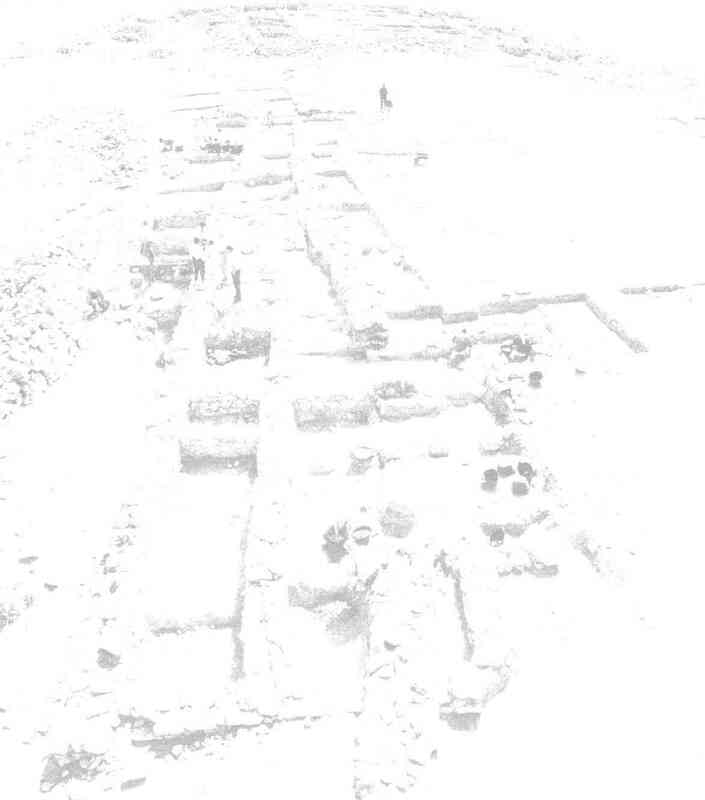 Lehun shows traces of Nabataean and Roman occupation (temples, tombs), as well as from the Islamic period (a farm, a mosque and a small village), and from Ottoman houses and modern times.